While Becca grapples with the emotions that Andy’s kiss roused on Hindsight, Jamie spends the evening at the video store with Sebastian. While Becca deals with the fallout from leaving Sean at the altar on Hindsight, Andy makes a gesture toward Becca that changes everything. 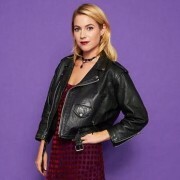 On the series premiere of Hindsight, a woman on the eve of her second wedding finds herself transported back to her first wedding day. 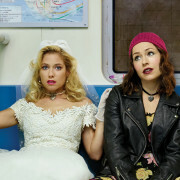 VH1 is giving audiences a chance to watch their new series Hindsight a week early.